The crumbling Arlington Memorial Bridge will be shut down for more than 60 straight hours in a few weeks to start major repairs that will include more than two years of significant lane closures. 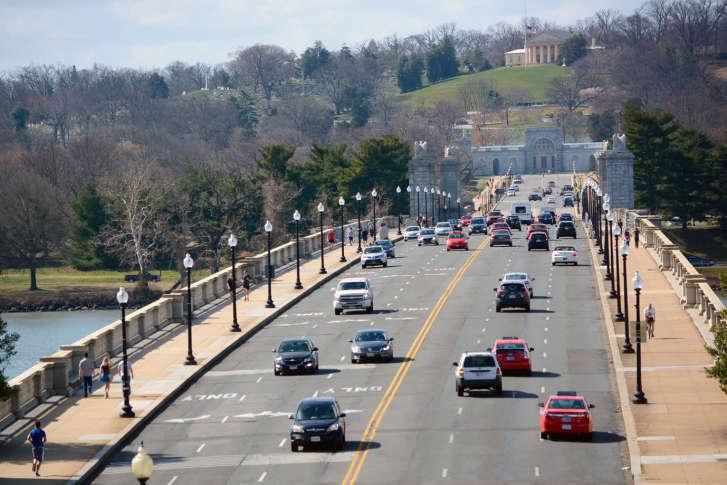 WASHINGTON — The crumbling Arlington Memorial Bridge will be shut down for more than 60 straight hours in a few weeks to start major repairs that will include more than two years of significant lane closures. Weather permitting, the bridge will be closed to all traffic — cars, bikes and pedestrians — from 7 p.m. Friday, Sept. 14 through 5 a.m. Monday, Sept. 17, the National Park Service said Thursday. Boaters on the Potomac River are also warned to avoid the center span of the bridge that weekend as crews move barges into position, bring a crane up next to the bridge, cut holes in the bridge deck and lower steel supports into the river. This preparation work is ahead of complete changes to the traffic patterns around the bridge set to begin in October and run through the project’s completion in 2021. Around mid-October, the south side of the bridge that usually carries inbound traffic toward the Lincoln Memorial will close. All three lanes and the sidewalk on that side will be off-limits for about a year as crews renovate the aging structure. Once work on the south half of the bridge is done, the three lanes that normally carry traffic toward Virginia and the adjoining sidewalk will be closed for another year of work on the north half of the bridge. During the more than two years of work, the Park Service plans to use a reversible lane on the bridge to address some of the expected backups, but the closure is still expected to slow traffic. While the Park Service plans to keep at least some lanes open each weekday, additional weekend and occasional overnight closures of the bridge are planned for the duration of the project. The next full weekend closure after September is expected to be in November. While drivers may have relatively simple — if traffic-clogged — alternatives like the Key Bridge and 14th Street Bridge, commuters and tourists who typically walk or bike over the bridge may face longer detours during the complete closures. The significant closures are expected to overlap with next summer’s three-month closure of all Blue and Yellow Line Metro stations south of Reagan National Airport, when riders will be asked to find alternatives.